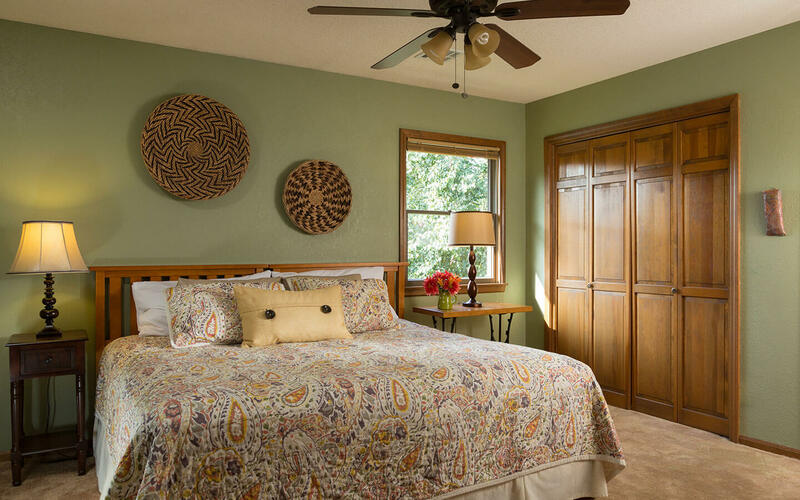 Relax in this second-floor room with warm colors bringing to mind a desert sunset, providing a memorable Kansas City area romantic getaway. 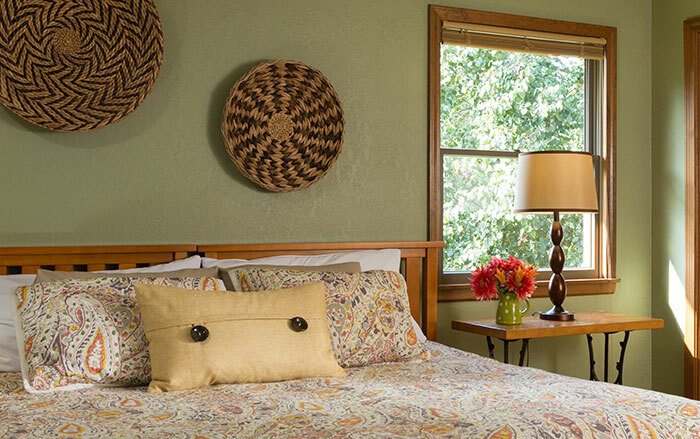 Handcrafted items brought from the southwest add to the feel of the desert setting. Delight in the beautifully tiled 2-person shower. Bed can be made up as a king or two twins, just give us advanced notice when booking and we will have the room ready for when you arrive. Enjoy this therapeutic massage that provides both relaxation and stress relief. By using connective strokes this massage lulls you into a soothing calm state of peace and relaxation. The massage is performed on the front and back side of the body as well as the neck.